Remote access control software enables a local user to connect to and access a computer remotely. With this tool, two or more devices or network nodes will be able to connect to one another in varied geographical settings. After establishing the connection, the user takes complete control of the remote device. From a sunny beach to a fancy hotel, accessing one's remote device is as easy as one, two, three. By investing in the right remote access control software, you now have the ability to access your computer anywhere at any time. However, if you don't a thing or two about remote access control software, then stay where you are and dare not to leave. Today, we'll show what is remote access control software, and how important it is to modern-day functions. According to Techopedia, remote access control software is a tool that allows a local user to connect to and access a device, specifically a computer remotely. This technology enables two or more devices or network nodes to connect to each other in different geographical settings. Once the connection is established, the user can now take full control of the remote device. He can perform several tasks as if he is sitting in front of the device, allowing him to run apps, manage programs, and even fix troubleshoot issues. Generally, a remote access control software requires authentication to access first before connecting both computers to each other. The local computer, or the device that will be used to connect to a remote device, need the permission of the remote computer first before that device can gain access to the remote computer. Once authenticated, the local computer can now take full control of the remote device. Not all remote access control software have the same specs and features. It usually varies from the kind of target audience they're trying to market to. However, we found a few features that you'll most likely see in almost all remote access control software online. Listed below are some of most common features you'll find in a remote access control software. Most remote access control software you'll see online have secure remote access systems in them. Since remote intervention is needed, exposing one's device to cybersecurity threats can be inevitable when using remote access control software. That's why most, if not all, remote access control software providers try their best to provide utmost security to their customers' computers to avoid any breach caused by unwanted online attacks. As stated earlier, most remote access control software will require you to gain permission first before accessing a remote computer. Usually, it comes in the form of a password or a remote access code. After the local computer requests for permission to access, the remote computer will receive the request message that makes it choose between allowing or not allowing the local computer to gain access to it. If the remote computer allows the local computer to take control of it, a notification message will appear stating that the local computer has taken control of the remote device. Most remote access control software come with a bunch of tools that allow you to customize the appearance of the remote desktop. With the help of these tools, you can change the display size of the software, adjust the screen resolution, display the target desktop with the resolution of the local computer, or display the remote desktop in full-screen view. This option is personal and is up to your personal taste. This feature allows users to access, transfer, and share files from one computer to another. It also refers to the feature that provides mutual interaction between the local computer and the remote device. It usually comes with a chat or conferencing feature, and the ability to manage files between both of the devices. By investing in a remote access control software, you can provide immediate solutions to problems that may arise unexpectedly. For example, IT help pros can just instead work on their clients' device remotely instead of driving to their location. This helps them avoid any hassle brought by commuting and traveling and allows them to save big on time, effort, and money. 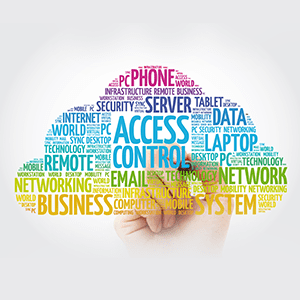 Remote access control software ensures that business demands and services are always maintained and met. This will give way for more flexible work experience for employees, allowing them to beat deadlines and meet business requirements even in the most unforeseen circumstances. It takes a lot of money to maintain a full-time tech office. That's why investing in an effective remote access software can really save your company some money that will be spent on essential office equipment such as chairs, tables, and the like. Does Remote access control Information is helpful?